Little, Brown Books for Young Readers, 9780316089197, 544pp. When the Candymaker announces that they will be going on tour to introduce the new candy bar, the four friends see this as an opportunity to make things right. But with a fifty-year-old secret revealed and stakes higher for each of them than they ever imagined, they will have to trust one another--and themselves--in order to face what lies ahead. 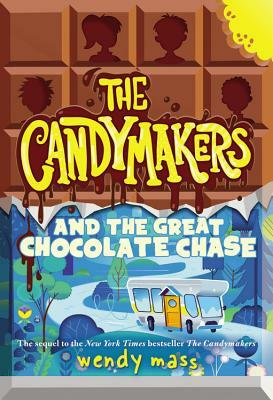 In this action-packed sequel to the bestselling novel The Candymakers, prepare to embark on a journey full of hidden treasures, secret worlds, and candy. Wendy Mass won the Schneider Family Book Award for her first young readers' novel, A Mango-Shaped Space, about a girl with the fascinating condition synesthesia. In Jeremy Fink and the Meaning of Life, a boy embarks on a life-changing journey. In Every Soul a Star, three very different kids are brought together by a solar eclipse; and in The Candymakers, four kids enter the contest of a lifetime. The Twice Upon a Time series puts a twist on familiar fairy tales, and the Willow Falls books (beginning with 11 Birthdays) add a dash of magic into a small town. Wendy lives in New Jersey.